aaron draplin in charleston, hell yea!! 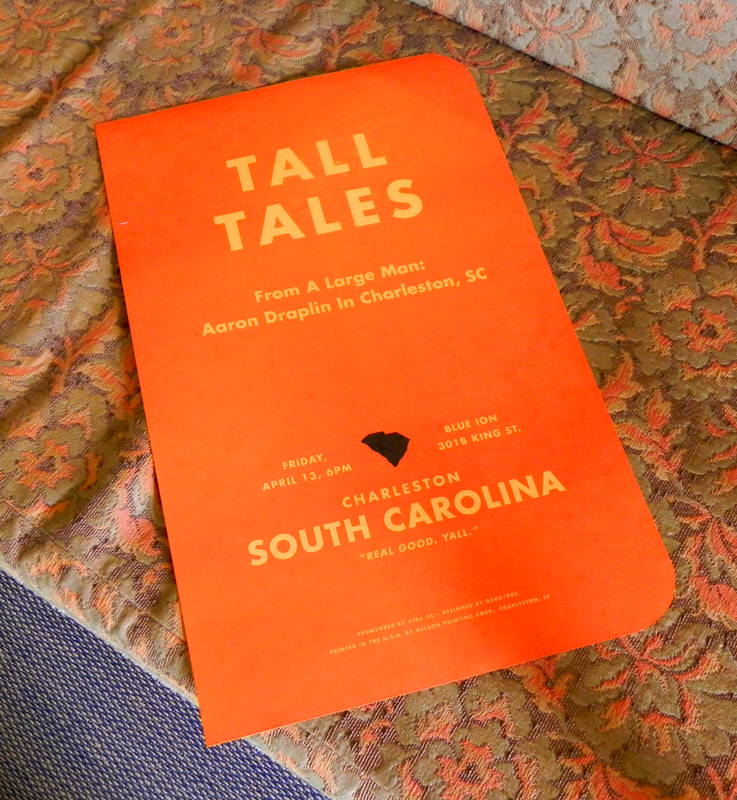 hot off the press are the posters for tall tales from a large man. yes, that’s right, the DDC is coming to charleston on april 13. aaron draplin, the one and only, will be presenting his tall tales traveling fiasco to us here in the lowcountry! the show is at blue ion, 301b king st., at 6pm on friday april 13. these posters will be ready for distribution around charleston and south carolina tomorrow. you design cats out there do not want to miss this. it is free so no excuses folks. people all over the world pay big money to see this. get with it! « look away, look here! One Response to aaron draplin in charleston, hell yea!! Sweet design Gil. So pumped for @draplin to be in SC finally!